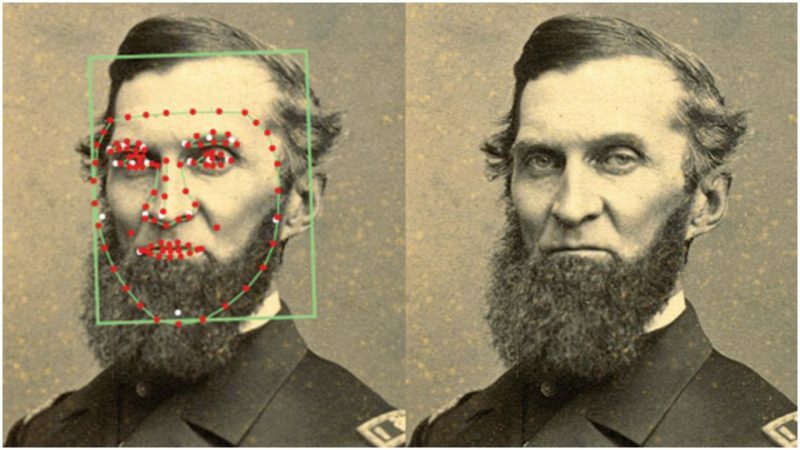 Civil War Photo Sleuth (CWPS) is a perfect mixture between passion for our history and advanced technology. 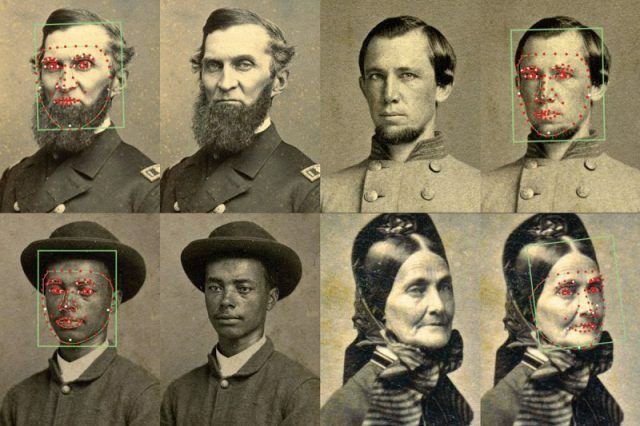 Using new facial recognition software developed by computer scientist and historian Kurt Luther, the aim of the project is to identify faces from the past, particularly the Civil War. An enormous number of photographs were taken in this period, as it also coincided with new developments in the field of photography. History enthusiasts or family members from all over the world can now participate in building a platform that will help recognize anonymous faces from the four-years-long conflict. The mission of CWPS “is to rediscover the lost names and stories of every photo of American Civil War soldiers and sailors,” by connecting different people interested in this period of history with each other and with institutions and archives that store images and other gems of information the past. It is a community building platform alongside being an educational and research tool. The idea was developed in 2013 with the launch of the Civil War Photo Sleuth Facebook page, which has come to serve as an archive of pictures submitted from around the globe. 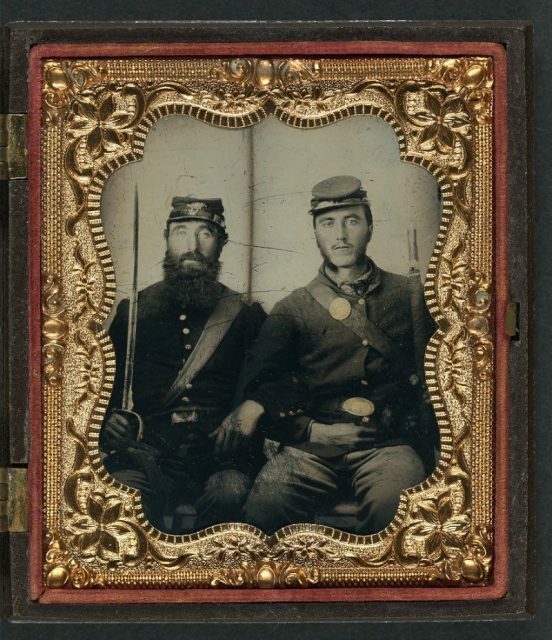 Two unidentified Civil War soldiers. The official CWPS website was launched in August 2018 by Kurt Luther and his students at Virginia Tech, Ron Coddington an editor for Military Images, and Paul Quigley, head of the Virginia Center for Civil War Studies. Since then they have identified around 75 photographed individuals and have many more eligible for comparison. 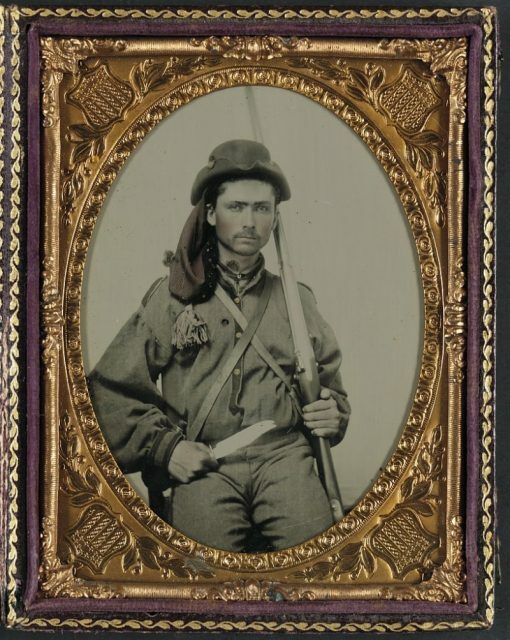 Unidentified soldier in Union uniform with bayoneted musket. 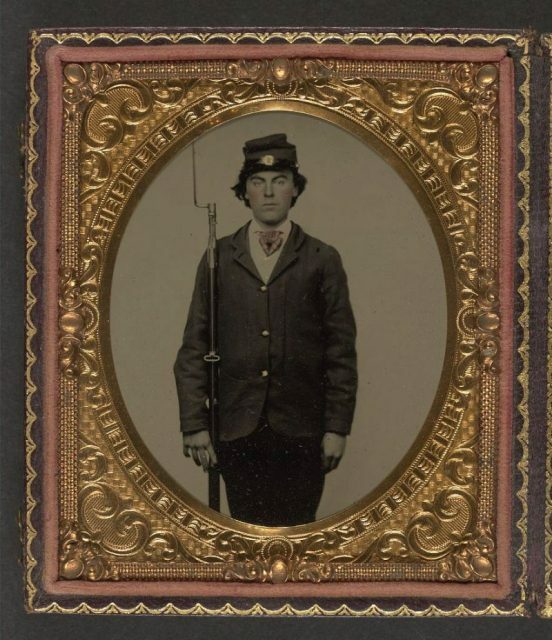 The people behind this webpage are striving to create the world’s most comprehensive database of Civil War photographs that would include not only soldiers and sailors but also civilians. The page is in the process of connecting with the Digital Public Library of America and a host of different museum, library, and cultural institution’s archives around the globe. CWPS users have complete control over how they want to display the photographs they submit and can also post anonymously. They can share their photos only with specific people, or make them public for all group members. To augment the precision of the whole process, users can tag the photos with different clues, such as insignia and inscription. This allows for a precise elimination process when identifying the photographs. 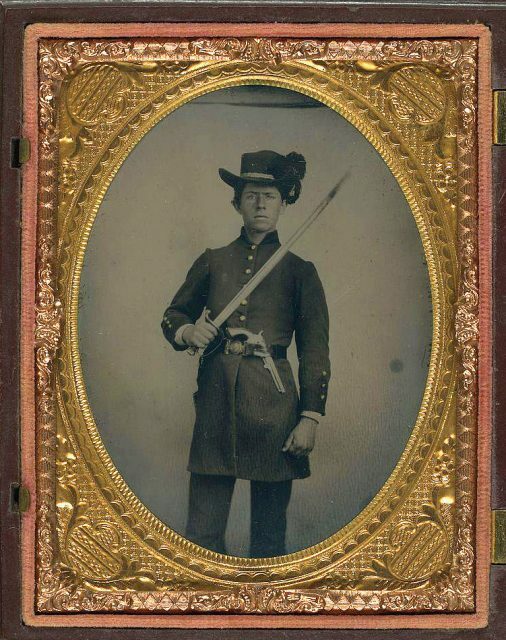 Unidentified soldier in Confederate infantry uniform with musket and Bowie knife. To minimize machine-made errors, humans and their skills are added to the mixture. Through crowdsourcing, the developers include different people who complete a variety of “micro-tasks” additionally adding to the accuracy of the results. CWPS is open and accessible for all enthusiasts. It is free to use and can be accessed through an existing Facebook account.